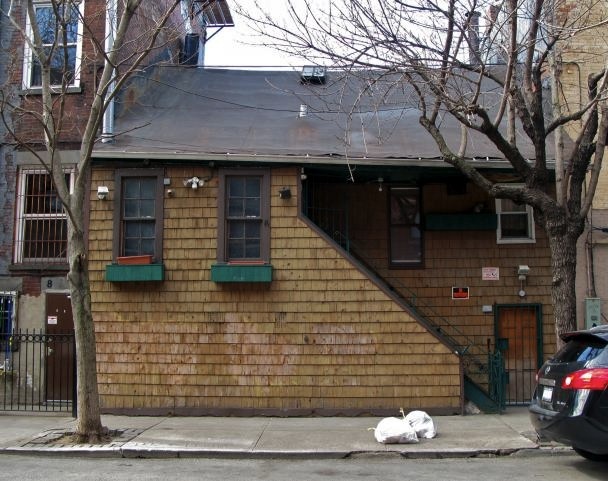 When I come across buildings like the one below at 392-393 West Street (along the Hudson River, between Christopher and 10th Streets) which used to be many things, but mostly a saloon, I try to imagine what it might be like to walk through the door and into the 19th century. The clientele was probably pretty scary back then. When I first moved here my neighborhood still had the remnants of the kind of people who lived here before it became gentrified and it was pretty rough trade. The closest AA meeting was filled with aging sailors who yelled and cursed at me whenever I spoke (I didn’t follow the AA rules). For the longest time the people who lived in my building for instance, were strictly working class—sailors, barmaids, but also actors, artists, students—and it was like that up until the 60’s and 70’s. When I moved in (early 80’s) it still had something of that feel. God I’d love to walk down the streets I walk down every day but at different points in time. I’d visit all the famous and infamous spots, eat in an oyster bar, fake having a drink in a saloon (I’m an alcoholic, can’t drink), dance in a dance hall, swim in the Hudson. 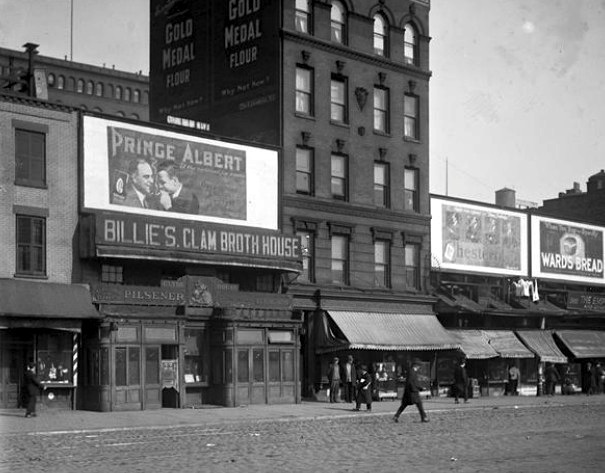 This is 392-393 West Street in 1920, when it was Billie’s Clam Broth House (I found the picture at the Museum of the City of New York). This was during prohibition and the owner was being creative. It’s actually a tiny building, those signs are sitting on top, there’s nothing behind them. 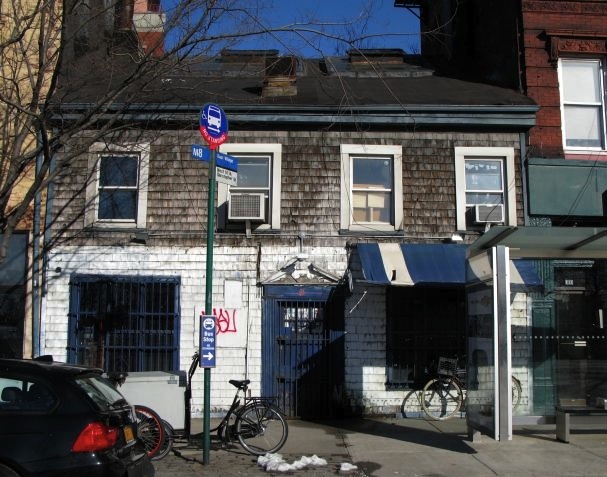 This is 392-393 West Street now (the small wooden building with the blue and white awning). I’m always amazed at how much is the same. For more background about the building try, Daytonian in Manhattan. 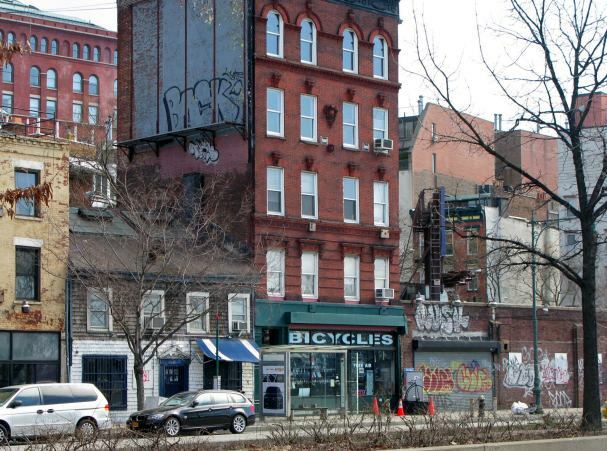 For the most thorough history of all, here is the New York City’s Landmark Commission’s report. Here’s a closer view. It’s in sad shape, so of course it’s attractive to me. I want to fix it up and live there. A view from behind, on Weehawken Street follows. These are always fun posts, seeing the before-and-after shots. The problem with seeing our ancestors as bigots is that a lot of them probably saw themselves as progressive and modern, and they *were*, compared to the generations that came before. Talking to someone from Ireland? Or Poland? Or even *shudder* a ? Unheard of! Until it wasn’t. And a hundred years from now, a lot of things *we* take for granted will probably be seen as ignorant and bigoted by our descendants, and those thoughts and behaviors we’ll be derided for most likely won’t be what we expect those to be. It has ever been thus. I mostly agree, but by the 1800’s plenty of people could see that slavery and discrimination was wrong, even people raised on plantations with slaves, like Angelina Grimké. Who knows which person I would be, had I been raised at the time. I’d like to think I’d figure it out. But it’s like the Milgram experiments, no one thinks they would have given those electric shocks.